In compliance with the development policy line of the Royal Government of Cambodia and in order to contribute to improvement of livelihoods of poor households in remote areas, Angkor Rice Spirit House has initiated activity groups in various villages in Siem Reap province with an aim to Smock (boxes) made from palm leaves for packing bottles of Angkor rice spirits for better appearances and attractiveness and wider promotions of the glorious traditions and culture. Almost all products from the Angkor rice spirit house are packed by Smock such as Smock for all kinds of spirit bottles, peppers, sweets, cakes, ingredients, hand-fans, chopsticks, flutes, books and many others small souvenirs. Apart from the contribution to cultural promotions and decoration of products, Smock making also provides a number of advantages. We, for example, try to efficiently use natural resources instead of papers or plastics, the attributes to environmental pollutions for product packing, improve livelihoods of Cambodian farmers and their households, to avail the job alternatives in additon to farming, and especially, broaden knowledge in making smock for the next generations. In addition to the above-mentioned activities, the Angkor Rice Spirit House has donated its profits gained from the business to poorest households in remote areas based on the Buddhist donation principles. These are not flattery actions or public illusions but they are our real commitments and will by Cambodian people who live under a shared roof of Angkor Temples. You can directly and indirectly do as what we did. 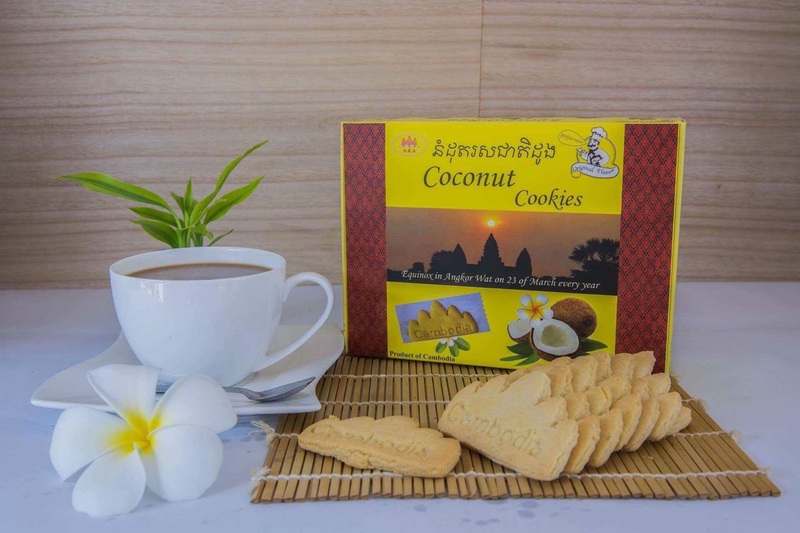 In this sense, it is mean that you can make direct contribution to people by yourself or through purchasing any our products from the Angkor Rice Spirit House. We welcome your visits in the Angkor rice spirit house and in communities within our projects. For further information, contact us via address: No. 10, Street Angkor Pyongyo (or street No 60), Traing Village, Slar Kram Commune, Siem Reap District, Siem Reap Province (800 m South of Kantha Bopha Jayavarman VII Pediatric Hospital) or email: info@angkorricespirit.com or limviriya@gmail.com.